Down my street there are currently 3 houses for sale, all within a 1 block radius of each other. Needless to say, that creates competition and somebody is going to end up sitting on their property a lot longer than they want to. The problem is that 2 of the houses have done nothing to prepare their home for sale while the 3rd has been working diligently all spring to get his house ready to put on the market. His house just sold this weekend, and he put his house on the market 1 month after the other 2 homes. What did you do differently than the other two…….let’s make a list, a checklist of things you should do before putting your home on the market. 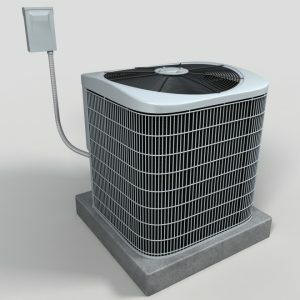 Have your home HVAC system cleaned and serviced, and have a record of it with the listing. This will show that you care about the systems in your home and want them in good shape when you hand them off to the new owners. About 90% of all home inspections list the cleaning of the HVAC system as one of the items that needs to be completed, let’s try to remove this item from that list. Show them you care about your home. Clean the exterior of your home, including your windows. 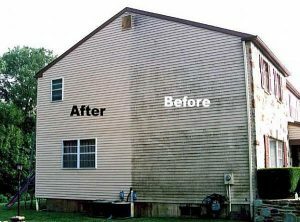 Rent a power washer or hire a professional to clean the exterior of your home. 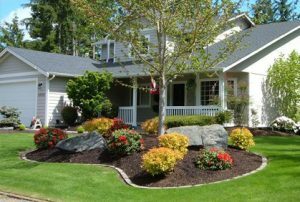 The outside of the home is the first thing a potential buyer sees when they pull up in front of your home. Try to make it as presentable as possible. It will serve you well, especially when you have competition on the same street. Create Curb Appeal. Now that you have power washed the exterior, create an inviting place for people to visit. Get rid of the weeds and dead bushes. Plant some flowers, fresh trees, and keep the grass clean cut for those who do the drive by. Replace dated light fixtures and house numbers if needed. You can even paint the front door a bright contrasting color to make your home more inviting. Apply a fresh coat of paint. Nothing works better to make your house look and smell new again than a fresh coat of paint. It always reminds me of that new car smell. Just make sure you use neutral colors that won’t scare potential buyers away and make sure that the job is done properly. A poorly applied fresh coat of paint will do more harm than good. A good paint job will get people excited to move in to your home. Give your kitchen a facelift. The kitchen is the most important room in your house. Make it shine for those potential buyers. Maybe you just need a little elbow grease to clean everything from top to bottom. 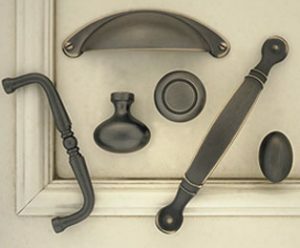 Maybe just adding some new cabinet hardware or maybe you need something more like a paint job on your existing cabinets. Put some time in to making your kitchen feel new again and it will pay back huge when it a potential buyer walks through your home. Remove old eyesores. Remove those old popcorn ceilings. Nothing yells 1960 more than the old stucco ceilings that were used to hide the poorly finished ceilings in your home. It takes a little bit of work but can be a DIY project if you are willing to invest the time and energy. The flat ceiling will give you a much more modern look that potential buyers will truly appreciate. 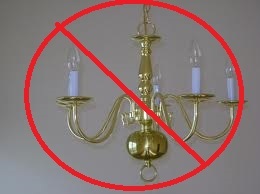 You should also remove outdated wallpaper, tacky light fixtures and stained carpets. You don’t need to put in high end stuff, just clean simple and contemporary. If you think these items are more than you can handle, or maybe you have bigger problems than these then feel free to give us a call at Home Services Direct and we will be glad to assist you with preparing your home for sale.